Continuous screen-changers filters continuous self-cleaning automatic screen changer - melt filter is positioned screen changer. 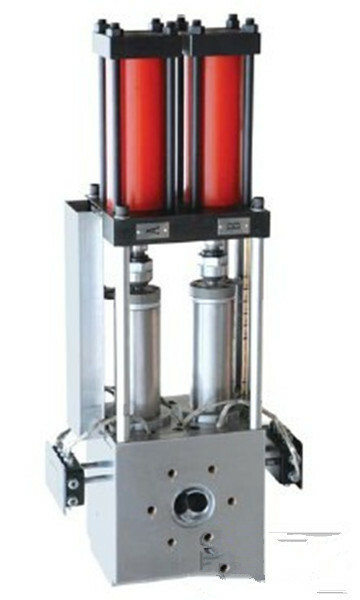 Continuous screen-changers filters during the filtration of the melted material ensure a continuous flow of the polymer, to avoid interruptions and downtimes and to get a quality product.Pushed by the extruder, the mass of polluted plastic material enters inside the melt filter - screen changer, crosses the perforated sheet and proceeds passing through the supporting perforated plate, then exits from the melt filter. The newly developed double-piston screen changer from Recent Recycling Machinery enables screen changing during production, guaranteeing longer filter lifetimes and uninterrupted melt flow. this type of exchanger for granulation, pipe, sheet, plate, PVB explosion-proof membrane production line, especially has obvious effect in the PET and PP drawing, spinning, EPE, EPS, XPS foam production.